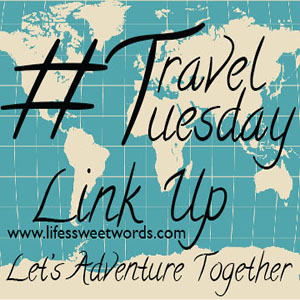 It's time for another #TravelTuesday Linkup! I can't wait to see where everyone has been! Ok, so this one may not be just a day trip, as you can't actually have access to the amenities unless you are staying on site or are a guest of someone who lives there. However, this would make for a great home base location for a week in the Georgia mountains! - Hiking- There are tons of trails to explore that will lead you to the falls, you can even brave the many, many stairs! However, if you are traveling with young kids, learn from our first year mistake and simply plan to drive to all the stopping points that they have and walk just a small trail into the viewing area. You can stop the car at the base of the falls, at the access point to the bridge that lets you view it up close and at the tip top of the falls. We would have loved to hike it ourselves, but it's a lot more enjoyable to not have to hear, "pick me up!! My shoe has something in it! ", the whole way up! - Playground- There is an awesome playground near the visitors center that will keep kiddos entertained for hours!! - Visitor's Center- The Visitors Center itself if a wonderful place to stop, not only to get trail guides, but also to see the neat little museum that has information on the falls itself and also has live snakes, frogs and other crawly things to take a peek at! And a huge perk is that it is only $5 a car load!! - Tubing- Helen is where you go to tube down the Chattahoochee! You pick one of the two spots to get your tubes and they drive you, by bus, up to the drop in spot. You then spend about 2+ hours tubing down the river and even over some small rapids. Since the kids were big enough to walk we have been going. When they were littler we just put them in the tube with one of us, but now we just get a cord that will allow us to attach together so that they have more freedom, but we can still stay in control if needed. There are often some pretty shallow parts where they can get stuck on rocks that we then need to help them off of. The older kids can do it on their own and enjoy getting to go off ahead of us. You get a good mix of a relaxing float with the added adventure of the little rapids every once in a while and it makes for a fun float!! - Chocolate Shop and Exploring- Helen is a cute little town set up to look like you are in the Swiss Alps. It makes for a great little place to just explore the shops and take everything in. After we get off the river we typically eat at one of the restaurants (usually the The Troll Tavern under the bridge, next to the river) and then head over to the chocolate shop to pick a treat for the ride home. Hansel and Gretel Candy Kitchen has a the best fudge, along with a huge assortment of other delicious treats!! If you ever make it to Helen you have to stop in a take a nibble. They offer samples and after one bite, you will be sold!! We love Helen! 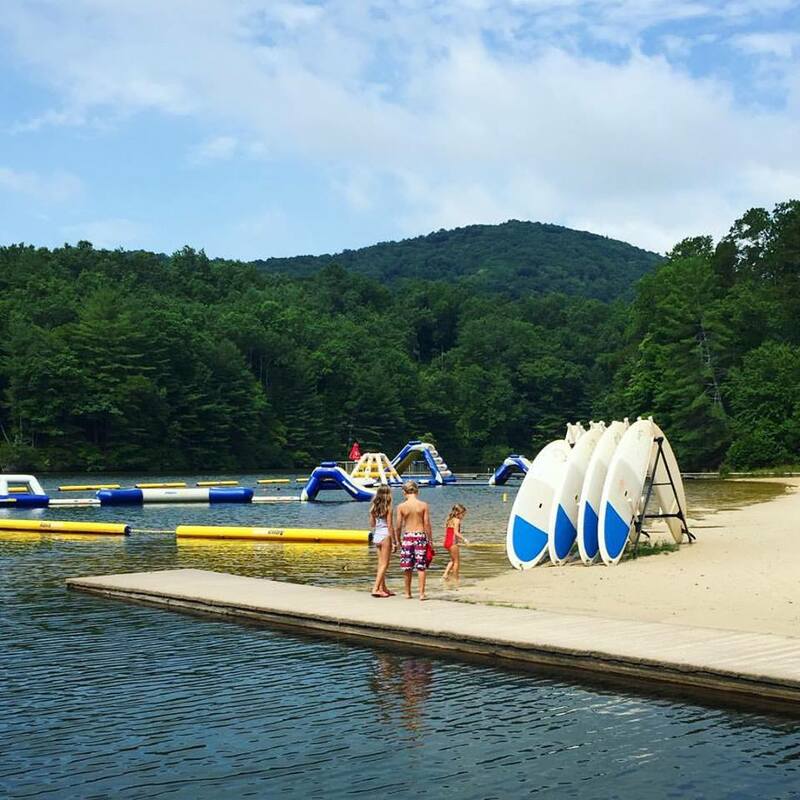 It makes for a full day of fun (we typically get there about 11 and eat a packed lunch at the picnic tables before going into the water park to purchase our tickets) and then some super wiped out kids, who crash on the car ride back to Big Canoe! Typically one of our favorite days of the trip!! - Sky Hike Ropes Course- Get harnessed up and brave the heights and the balance beams as you go up the structure! There is a smaller, just off the ground version for those who don't meet the height requirements and our niece could have done that all. day. long! It made her feel so accomplished! - Gondola to the Top- There are two options to get to the top of Stone Mountain. We would love the chance to hike it someday, but with kiddos the gondola is the best option since even just walking up the hill to get on makes them ask to be carried. It's definitely a great way to see the whole park on the way up. The view from the top is awesome! You can see the Savannah skyline in the distance. - Plantation exploring- One of our favorite things, as the adults, is to visit and explore the old homes they have on site. You go across the street and go into the old plantation setup that they have. You can go in and out of the homes, explore the barn (complete with petting farm) and learn about some of the history. It's a great way for the kids to learn a little while we are gone! - The Ball Room- I would say this is one of the kids favorite places! A huge barn is a set up with three levels of play structure for the kids to run loose in. The slides are huge, there are climbing nets to challenge and then the whole place is filled with soft, sponge balls that the kids can collect and load into cannons or into the big ball drop. Though you do have to mind the noise, it is a great spot to get out of the heat for a while and for adults to rest their legs while the kids run around in a confined space (workers man the exits, so kids can not leave the building without the adult the came in with). This is always our most expensive day ($36 for adults/ $26 for kids with meal included), but it is totally worth it! 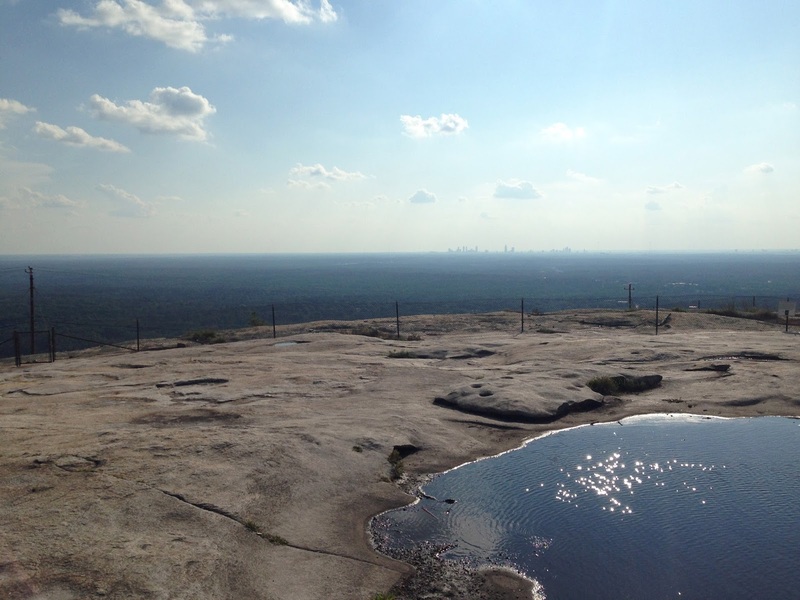 You can also stay at Stone Mountain. There are hotels, as well as campgrounds! We can't wait to go and take Flo at some point and do some adult only exploring. There are a lot of trails we haven't gotten to explore! Another fun perk is that during the winter they have Snow Mountain and create snow for tubing and winter play! Anna Ruby Falls is on our North Georgia bucket list! While we haven't gotten to go yet, we pass the sign every time we drive to Helen and are itching to go explore. Our next North Georgia Trip will be with Flo and our plan is to stay at Unicoi State Park where we can go explore Anna Ruby Falls, hike into Helen for the day and finally get to drive down the Georgia winery highway!! Can we go now please?! If you are planning a trip to North Georgia, I hope this was helpful!! If you weren't before reading this, I hope it has encouraged you to plan one soon!! Especially coming from Florida, it makes for a pretty easy drive and is nice to get a good dose of mountain air for a bit!! Where have you been adventuring too?! Excited to explore the globe with you all! !